Amazon Web Services skills are in higher demand than ever, as more and more companies look to offload their hosting to the cloud. 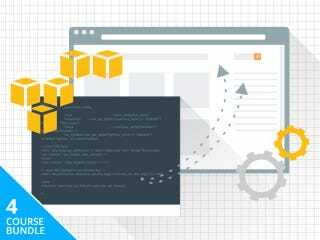 This bootcamp is designed to take you from AWS newbie to full-fledged engineer, and you can currently get it for 89% off - just $29. If you’re a developer and/or looking for a bigger salary, you’ll definitely want to learn the ins-and-outs of AWS. In these four courses - totaling 24 hours of content - you’ll learn the fundamentals of cloud computing, before moving on to the various specialist skills related to AWS. Two of the courses actually work toward AWS Associate accreditation, which will work wonders on your résumé. Hit the link below for more info and grab yours today. The deal gives you instant, lifetime access to all the courses. Grab it via the link below.